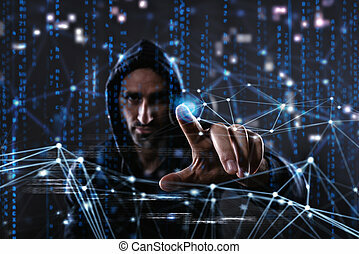 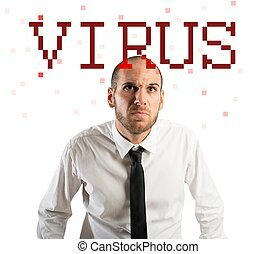 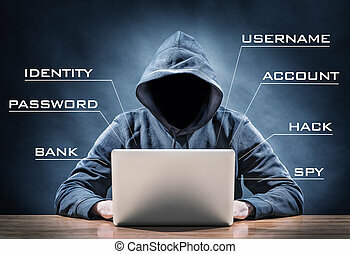 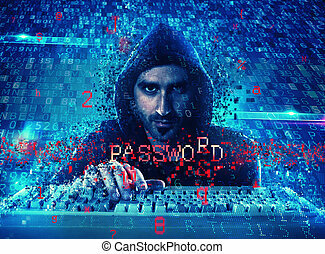 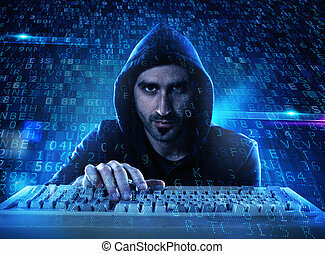 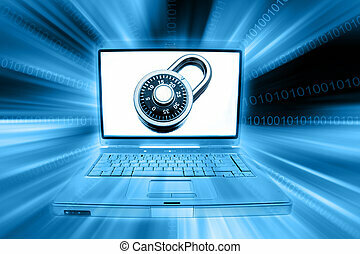 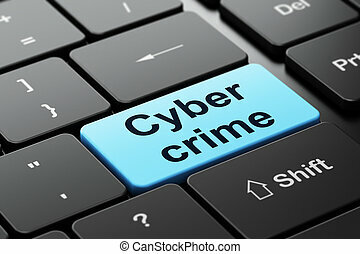 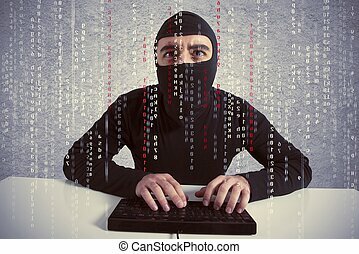 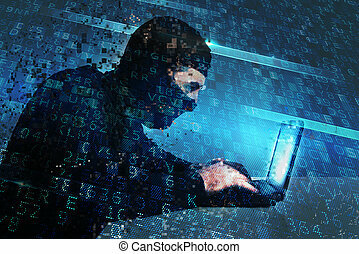 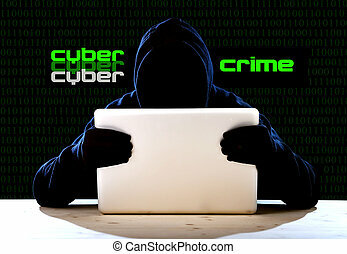 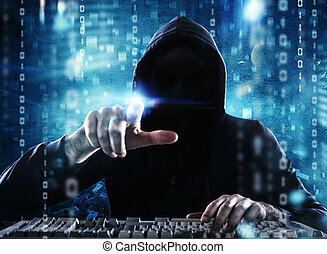 Hacker and computer virus concept. 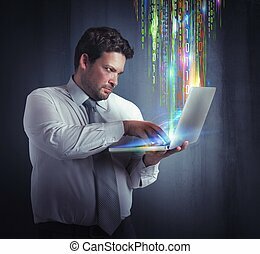 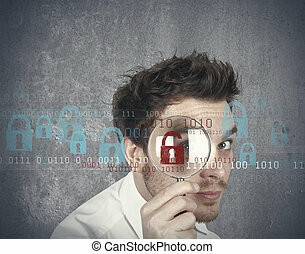 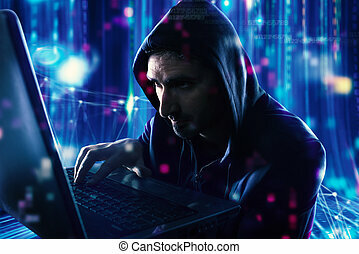 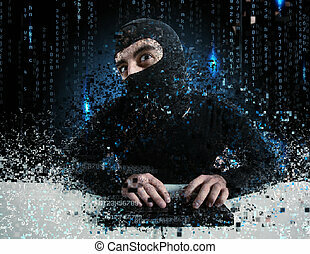 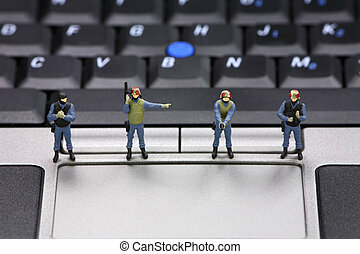 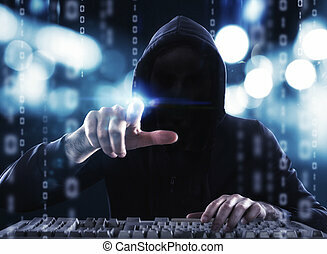 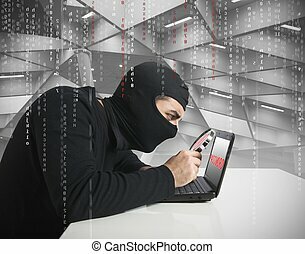 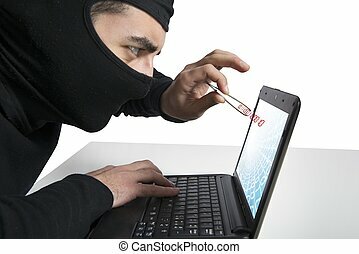 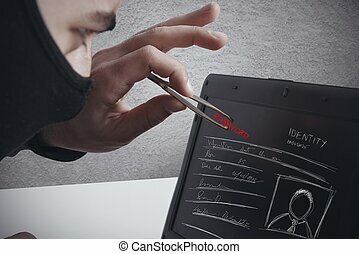 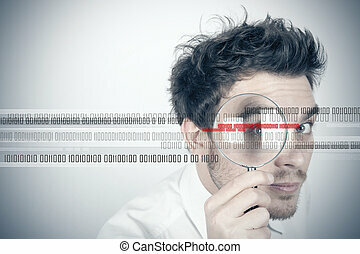 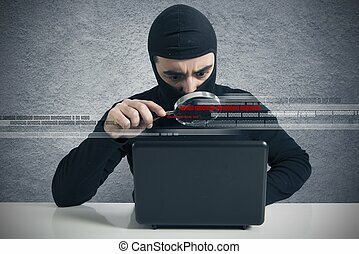 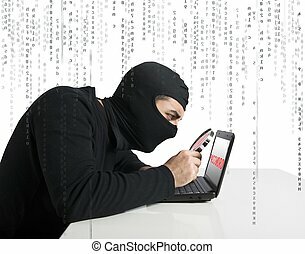 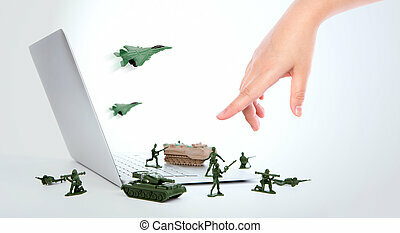 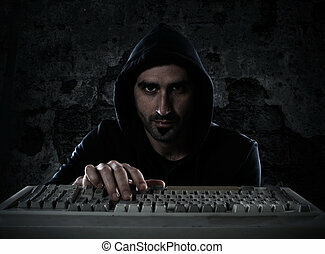 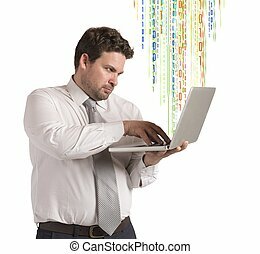 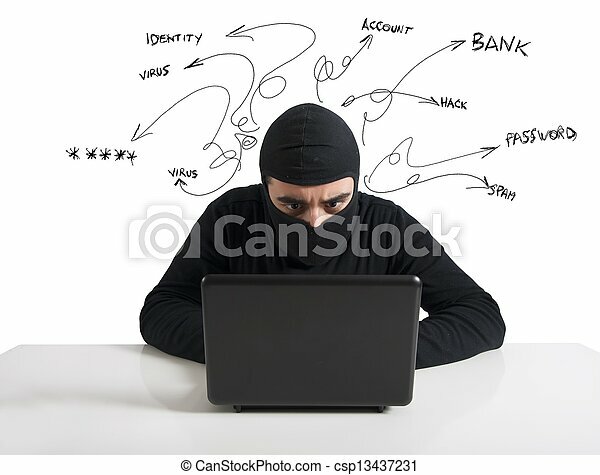 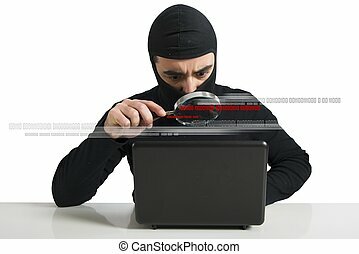 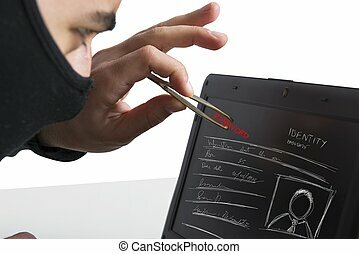 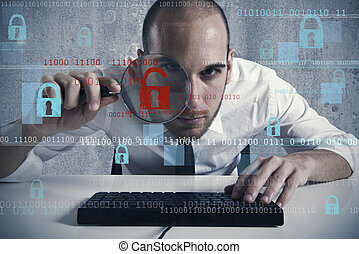 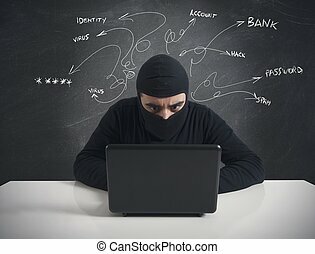 Concept of hacker at work with laptop. 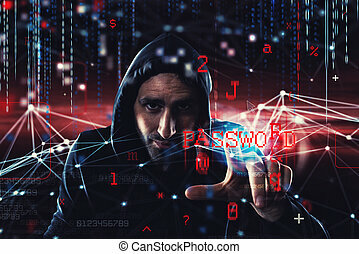 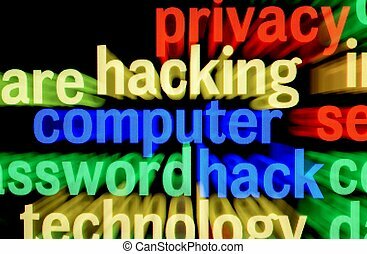 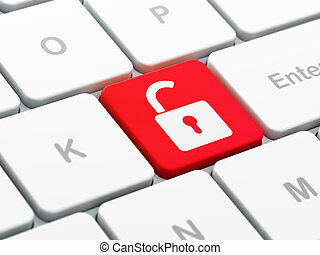 Computer hacker cracked security password. 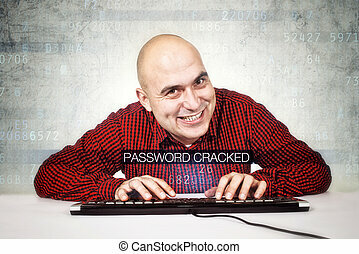 Bald smiling computer hacker typing computer keyboard. 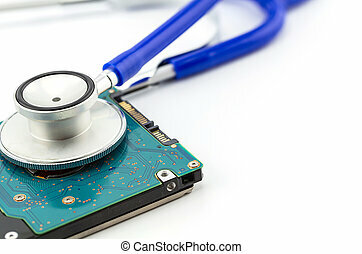 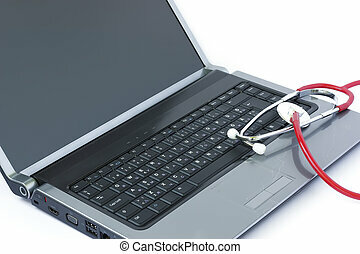 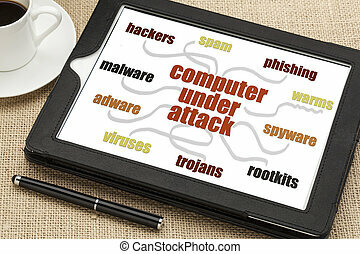 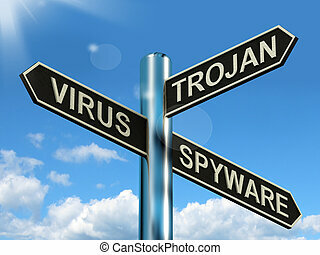 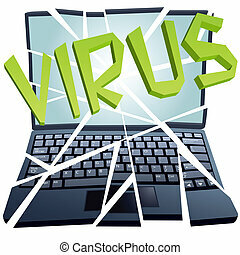 A computer virus crashes and breaks a laptop or netbook to pieces.